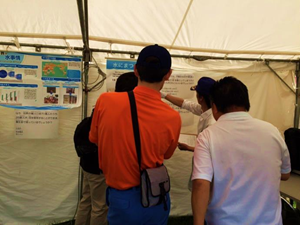 On May 20, the 66th Flood Fighting Drill in the Tonegawa River Basin took place at Chisaki, Shinkawa-dori, in the City of Kazo, Saitama Prefecture. This drill is aimed at handing down Japan’s traditional flood prevention techniques and raising public awareness of flood prevention. This type of annual event, organized by MLIT and riparian municipalities along major rivers, is conducted across Japan prior to the flooding season. Many people participated, including flood-fighting teams, local residents, and other stakeholders. The drill in the Tonegawa River basin is one of the biggest such events. The 66th drill was conducted at the site of breached levees caused by Typhoon Kathleen, which hit the area 70 years ago. The JWF has been holding the Flood Fighting Drill Tour since 2006 for officials from embassies and international organizations in Tokyo, with the aim of transmitting information to the rest of the world about our experience and the lessons learnt from water disasters, as well as traditional flood fighting activities carried out by local residents. (The tour was canceled in 2011, when the Great East Japan Earthquake occurred.) 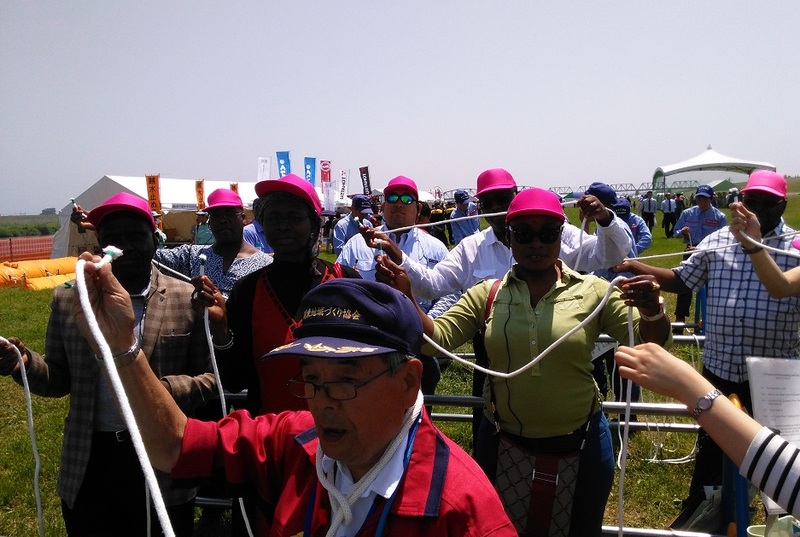 Twenty eight officials from nineteen countries including the Ambassador Extraordinary and Plenipotentiary of the Republic of Malawi and four other Charge d’Affaires participated. 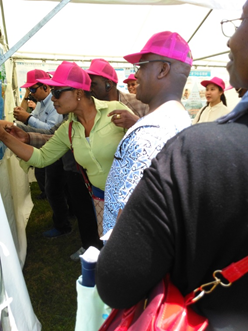 In addition, JICA cadets (fourteen students from thirteen countries, belonging to the Co-Creation Program on water-related disaster management), observed and experienced the drill together with the embassy officials. 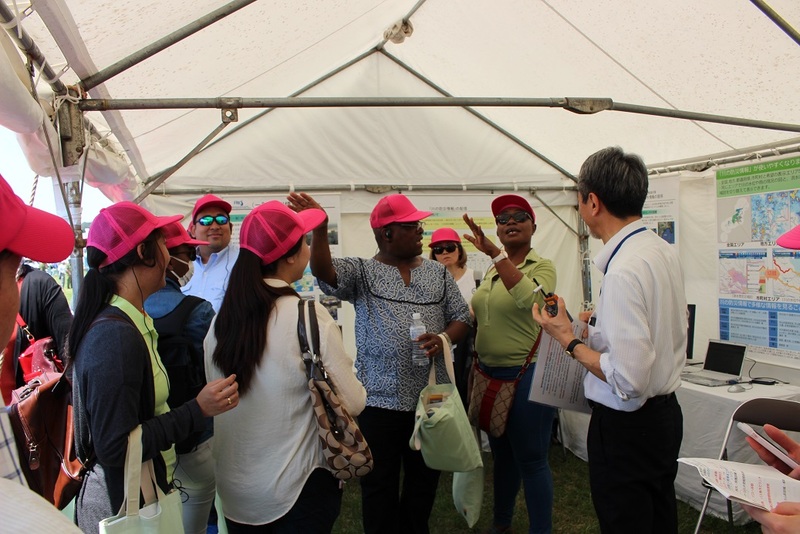 At the exhibition area, the JWF operated a booth in order to help visitors and participants understand the current water situation around the world. We offered a quiz on water to raise public awareness. The JWF intends to provide information about Japan’s traditional flood fighting techniques and the establishment of disaster prevention systems based on public-private partnerships. Transmitting Japanese knowhow to the world, the JWF continues to help enhance flood prevention capabilities throughout the world. The first part of the drill was conducted along the timeline of a 1947 disaster in the city of Kazo, which experienced a bursting of levees along the Tonegawa River caused by Typhoon Kathleen. The second part consisted of training in rescue and first-aid for disaster victims. Rarely seen custom-made motorbikes, amphibious vehicles, helicopters and special ships conducted an impressive rescue and first-aid drill. After the drill, we visited Sekiyado-jo Museum, located on the super-levee, situated near the separation point of the Tonegawa and Edogawa Rivers. 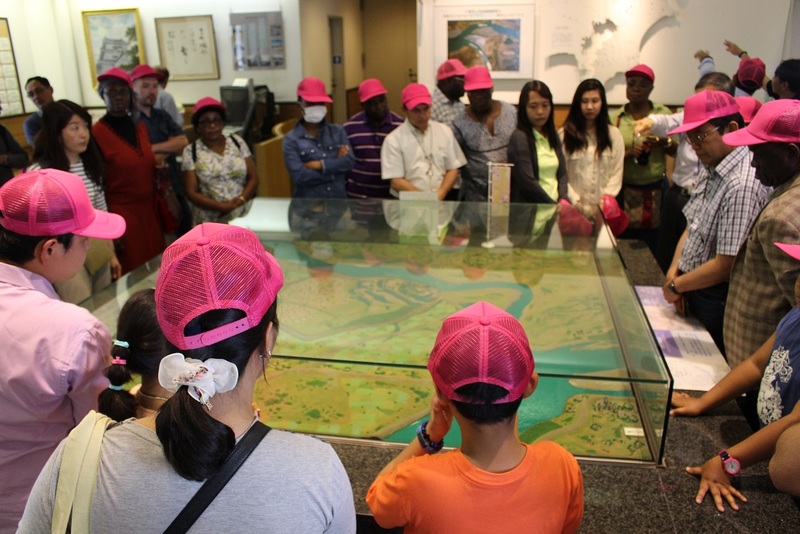 From the informative explanations given by volunteer guides using models and photos, we learned the history of flood prevention. 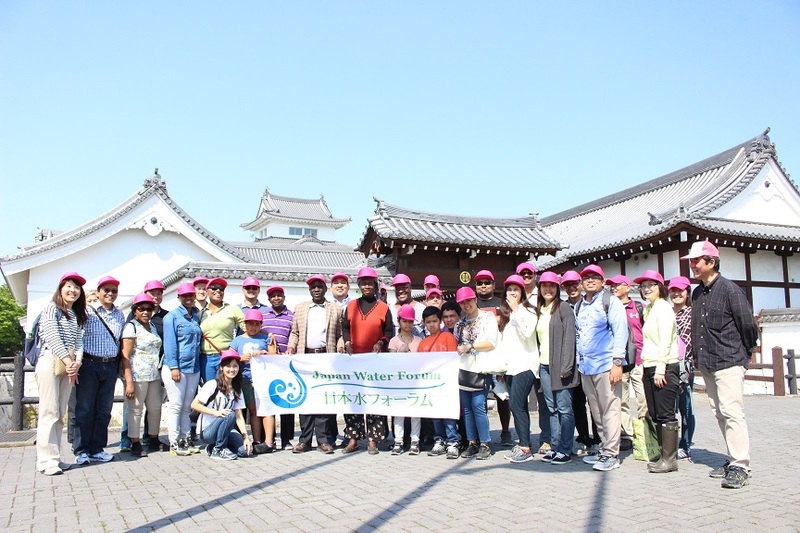 The participants commented that the tour would be useful in implementing measures against water-related disasters in their countries, and they wanted to participate this kind of tour more often. 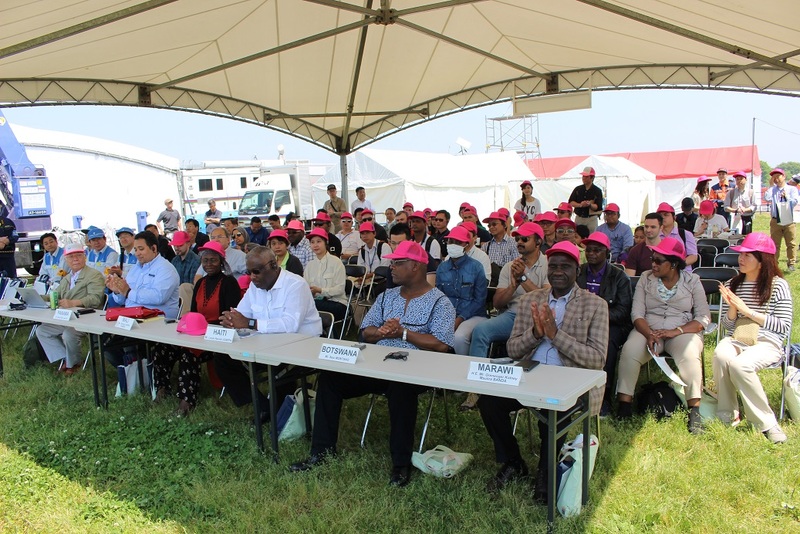 Objective Providing officials from embassies and international organizations in Tokyo with an opportunity to see and take part in flood fighting drills. Agenda Visiting to the drill site; experience of flood fighting methods, such as making sand bags and learning rope work, observing rescue and first-aid training. 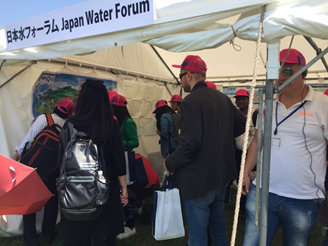 The JWF offered a quiz on water in the exhibition area, as a way of raising visitors’ awareness of the global water situation. We had more than 200 visitors, including the participants of the tour for embassy officials and JICA cadets. 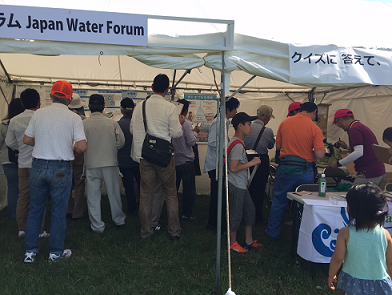 Operators of the nearby booths were interested in the popularity of the JWF booth and took the quiz on water. Some quiz participants said it was very educational and some were surprised to learn that such a large amount of water was used in making a hamburger. In addition, the JWF launched a program for mapping visitors’ places of residence. We prepared a map of the Kanto region and a world map, with rivers marked. The visitors put stickers on the map to show their places of residence. 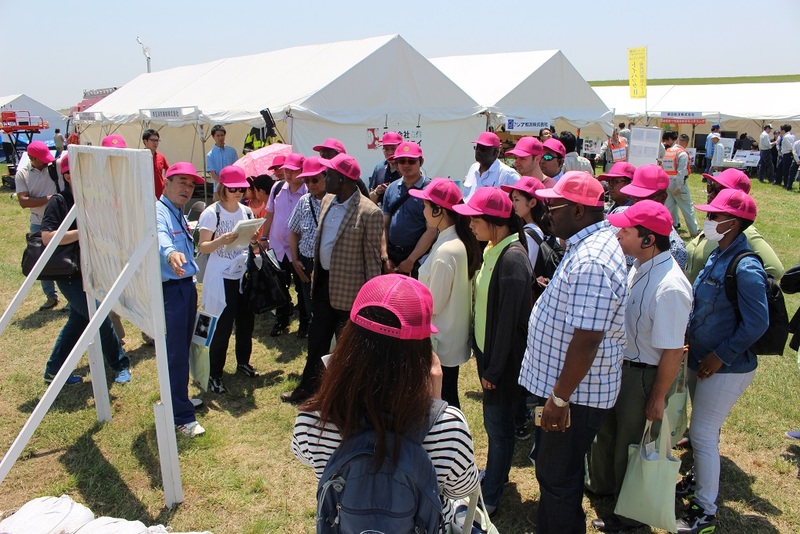 Among the foreign visitors, the largest number were from the home countries of the embassy officials and JICA cadets, and most of the Japanese visitors came from areas near the Tonegawa River and the Arakawa River. Some came from as far as the Yanba Dam area in Gunma Prefecture, the Izu Peninsula in Shuzuoka, and Choshi, located near the mouth of the Tonegawa River in Chiba Prefecture.